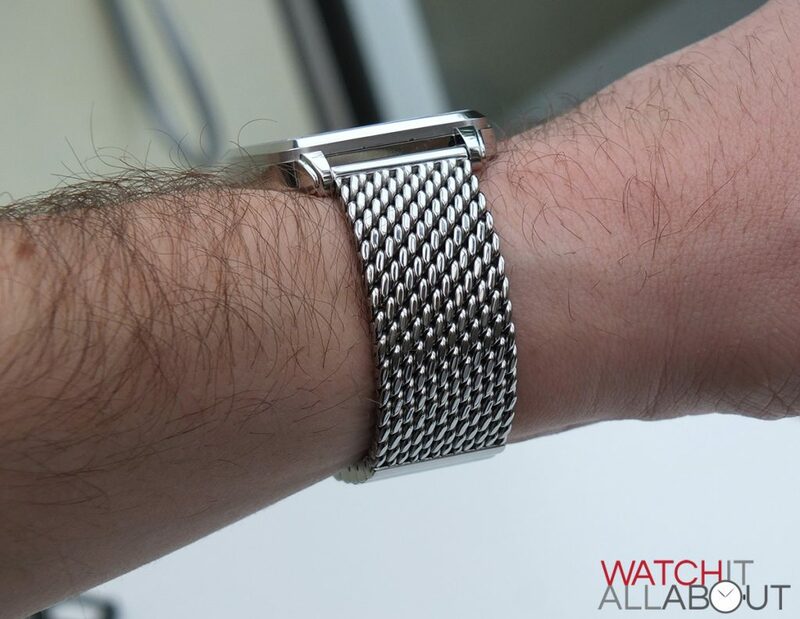 Published by Joshua Clare-Flagg on 27 Jan, 2016. 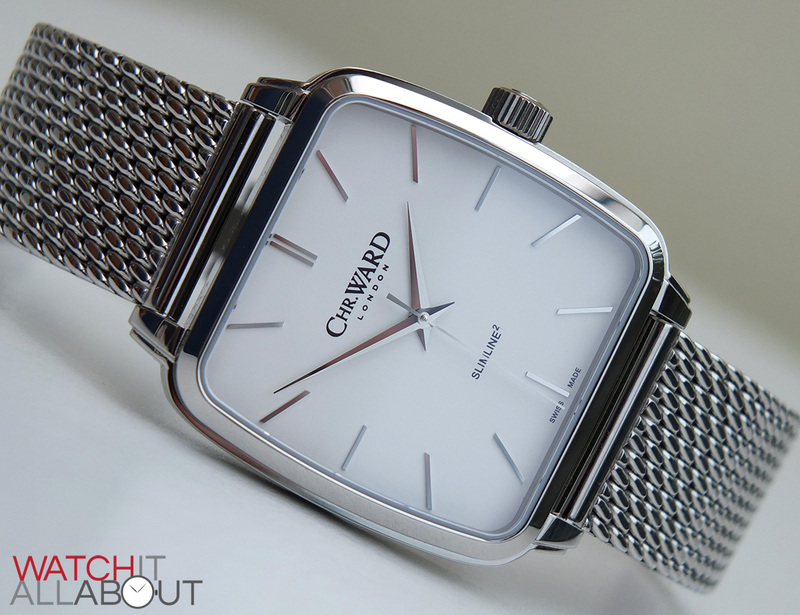 The C5 Malvern is the longest running model in the Christopher Ward lineup: it was their very first model. Throughout the years, it’s has a few upgrades and face lifts, and also some extra models. 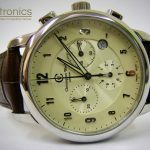 I reviewed the C5 Slimline last year, which housed a hand-wind only ETA2801 movement to keep it thin. Now, the C5 family is expanding once more, and it’s changing more than just the movement or dimensions. 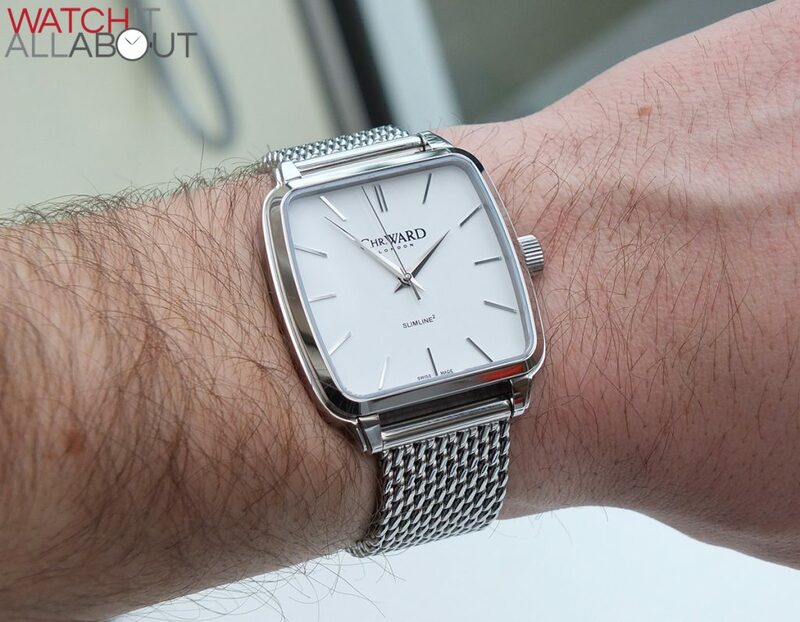 The ever-present round case is being replaced for a rounded square in, you’ve guessed it, the C5 Slimline Square. 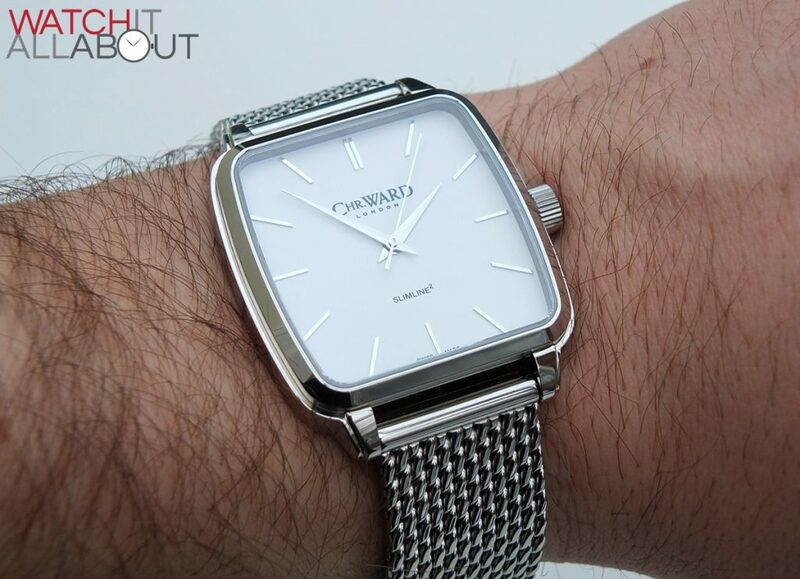 Costing £399 on leather, or £475 on a fine-knit stainless steel Milanese bracelet, the C5 Square is available in either a matt white or sunray blue dial. 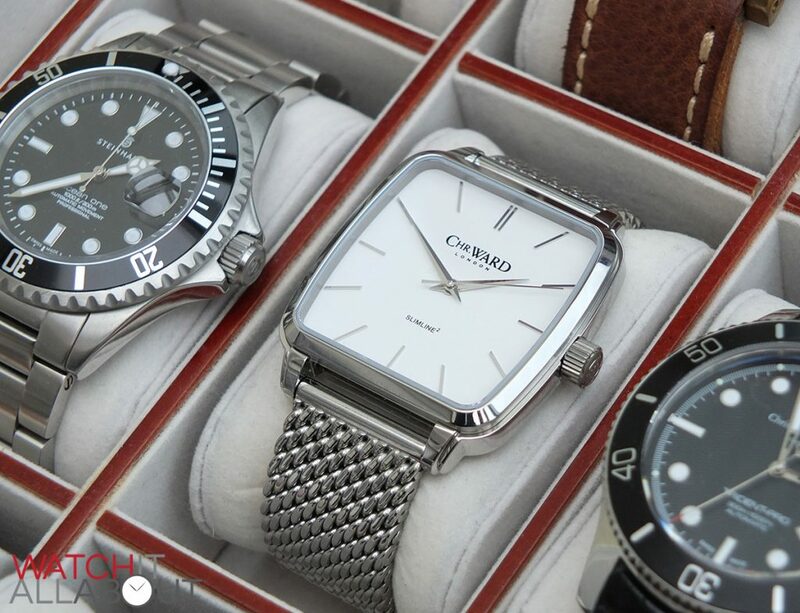 With the increase in popularity of retro inspired timepieces, I think it’s a good time for the C5 Square. Let’s take a look to see if it’s a good deal or not. 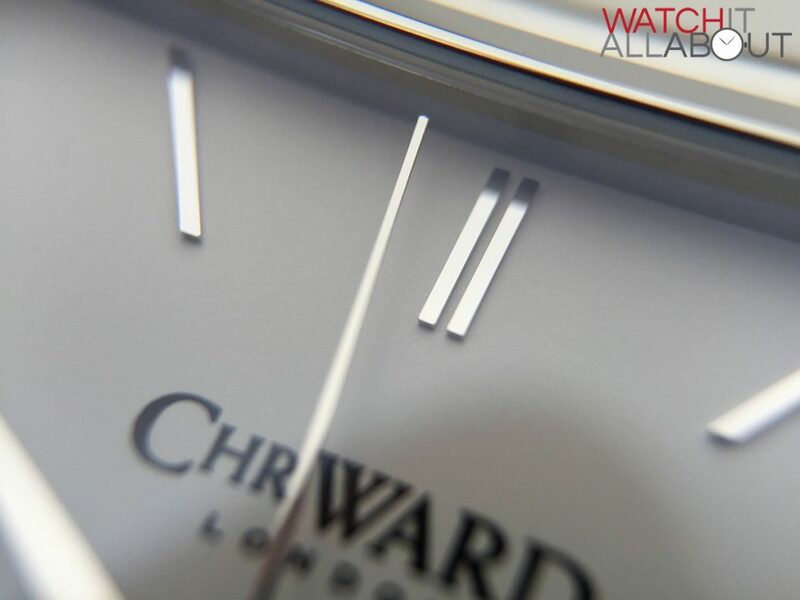 The case on the Christopher Ward C5 Square is newly re-engineered. 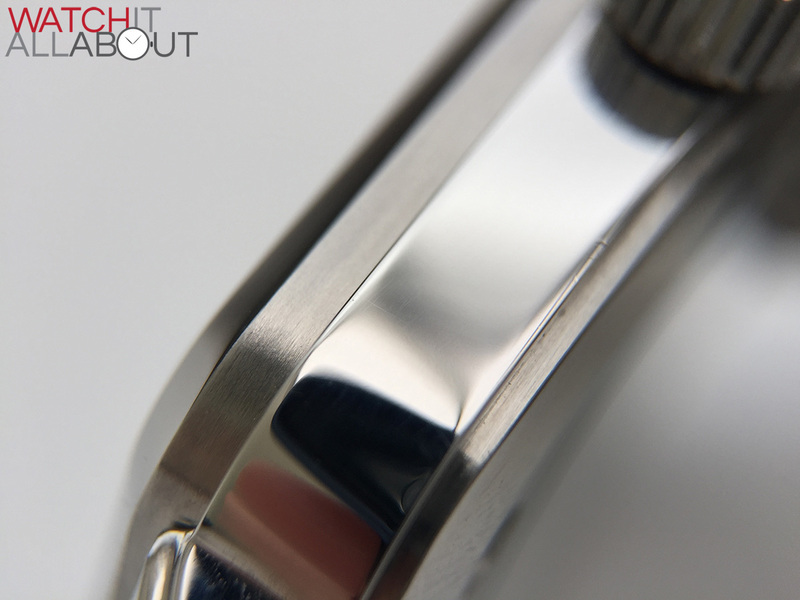 This is most apparent from the bezel, which is now indented from the case main and has a thin, lower brushed edging. 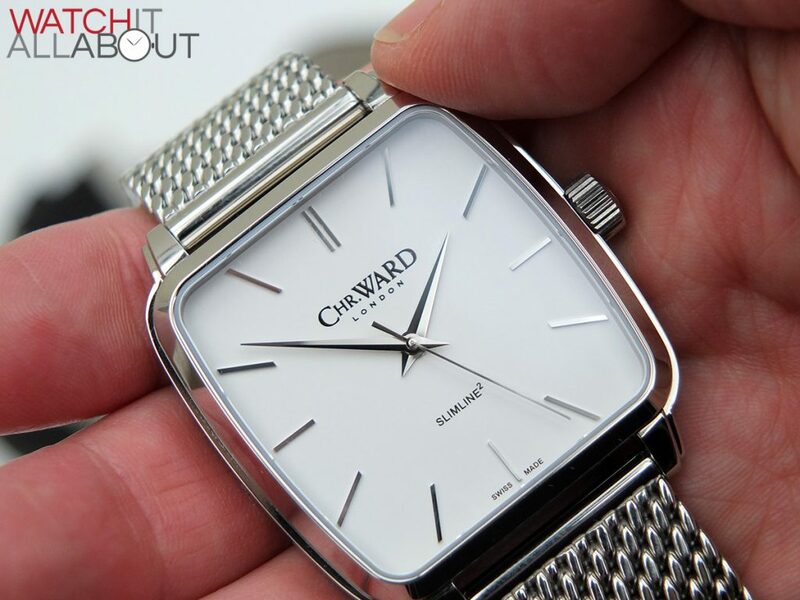 At 37mm square and 8.25mm tall, it makes it the thinnest mechanical Christopher Ward available – perfect for those who believe that a true dress watch needs to be slim enough to easily slip under a cuff. 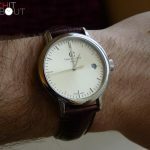 I also think the diameter is just right too – small enough to provide vintage appeal but large enough to bring modern wrist presence. 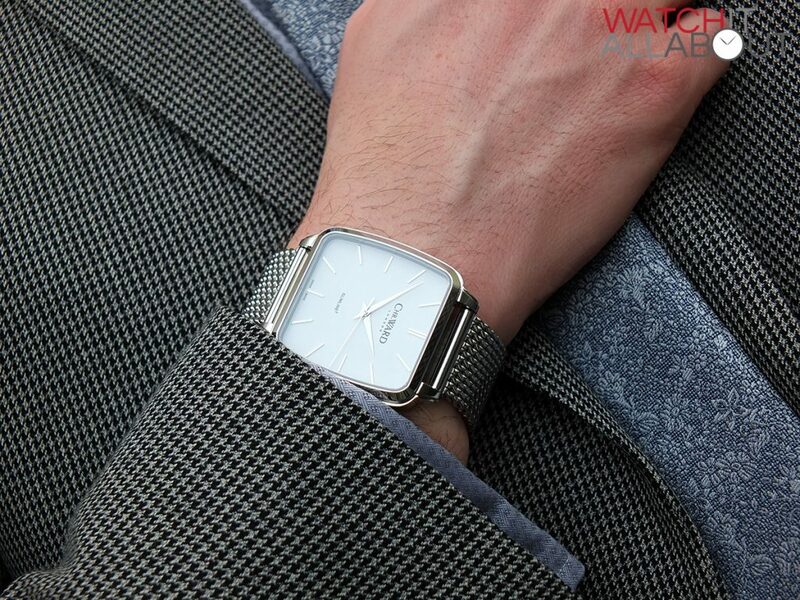 The C5 Square sits low on the wrist, a very streamlined wear. 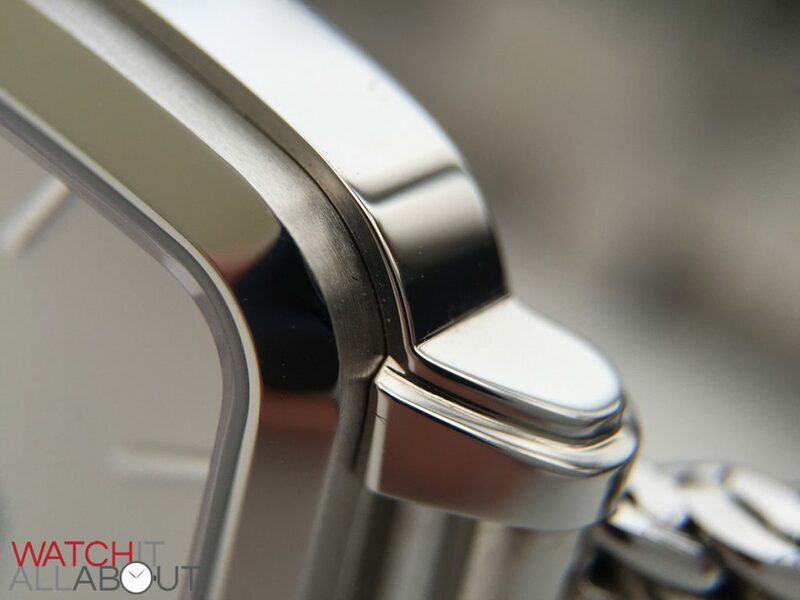 The finishing across the case is excellent as you’d imagine, with mirror-like polished surfaces and uniform brushing. The brushed rim surrounding the lower bezel splits the lines of the case, keeping it interesting whilst maintaining simplicity. 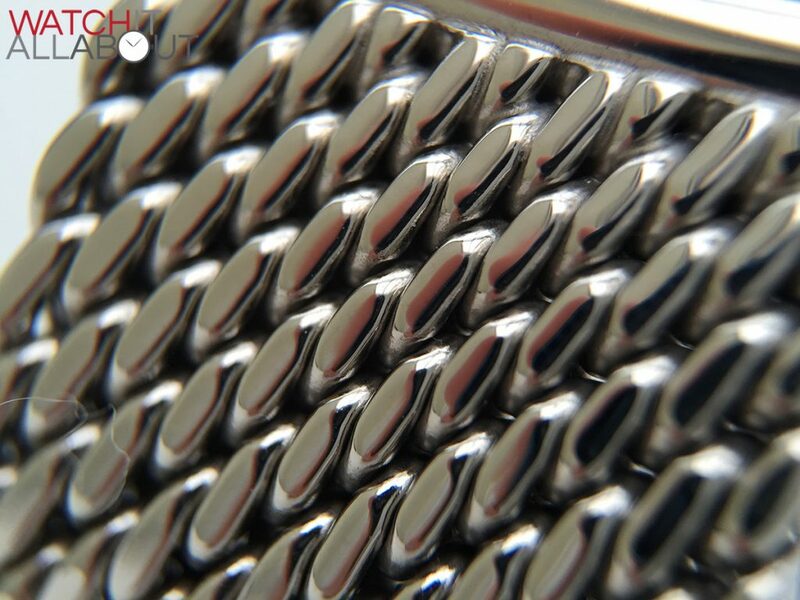 The sapphire crystal is extremely clear, helped by an effective layer of anti-reflective coating on the underside. 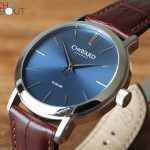 The push-pull crown is classic Christopher Ward; with the CW logo embossed on the end, and decent rip to provide sufficient purchase for your daily wind. 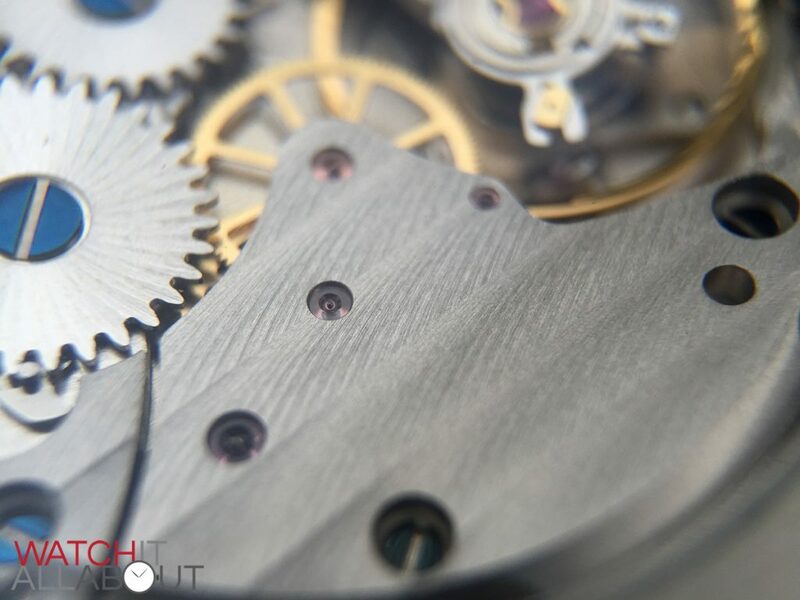 The exhibition caseback displays the movement well, and is secured in place by 4 screws, one in each corner. It has a polished bevelled edge whilst the main section is brushed. 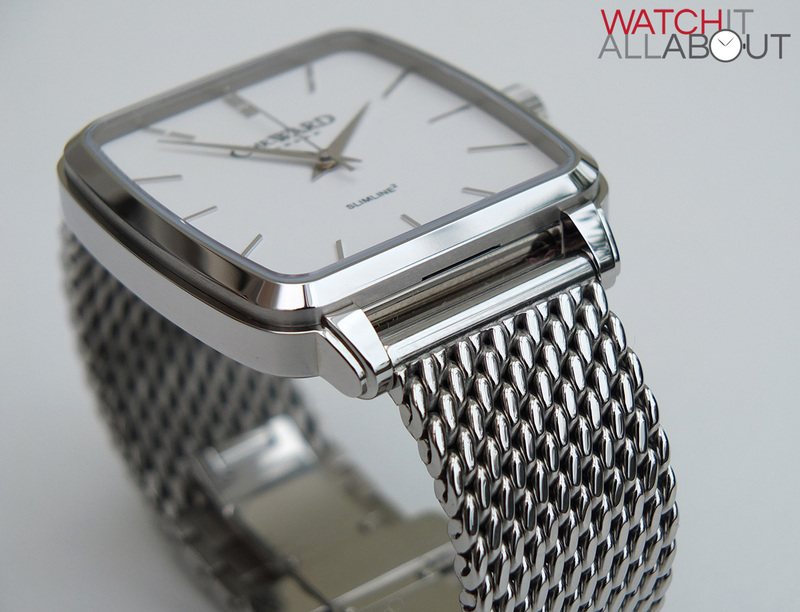 It only has 3 pieces of information on: Slimline2 above the exhibition window, and “Swiss Made” and the serial number below. These are laser etched into the steel, I personally would have preferred them to be engraved. The dial is incredibly simple. In fact, you couldn’t really get much more uncomplicated if you tried without surrendering something important. 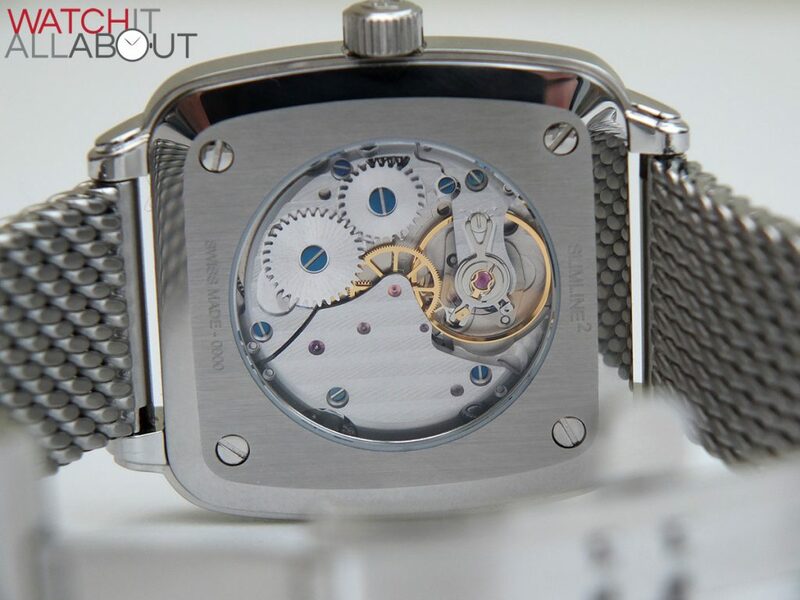 It’s got all the minimum details – hands (obviously), hour markers, and 3 printed elements being the logo, model name and “Swiss Made”. It’s classy in an effortless way. The diamond-polished nickel hands are spotlessly made. They’re pitched in the centre, which provide a nice variety of reflections based on the light angle. There’s not a lot in terms of printing – not even a minute track. 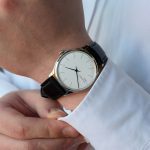 We’re only graced with 3 printed items – the logo in the top half, Slimline² in the bottom, and “Swiss Made” at the foot of the dial. I do love applied hour markers, and the C5 Square certainly has them. 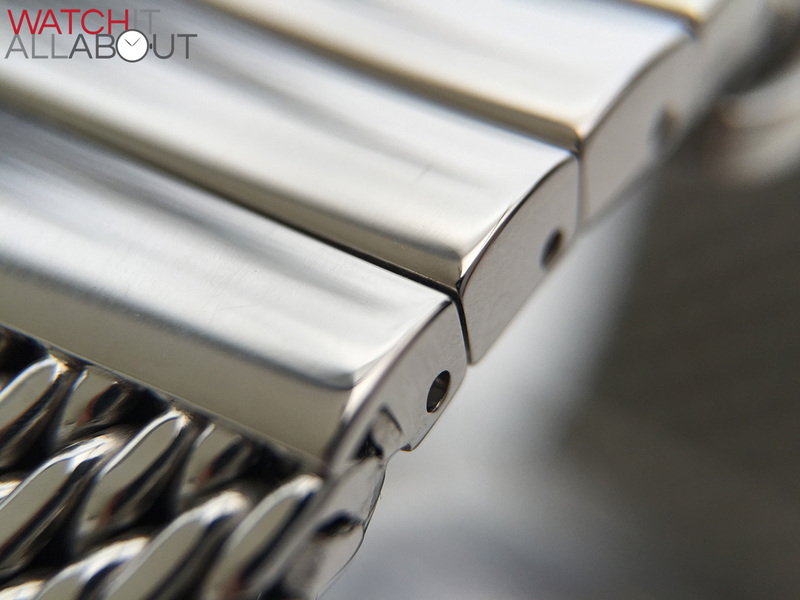 Made of nickel and fully polished to match the hands, they also reflect the light at the right angles. 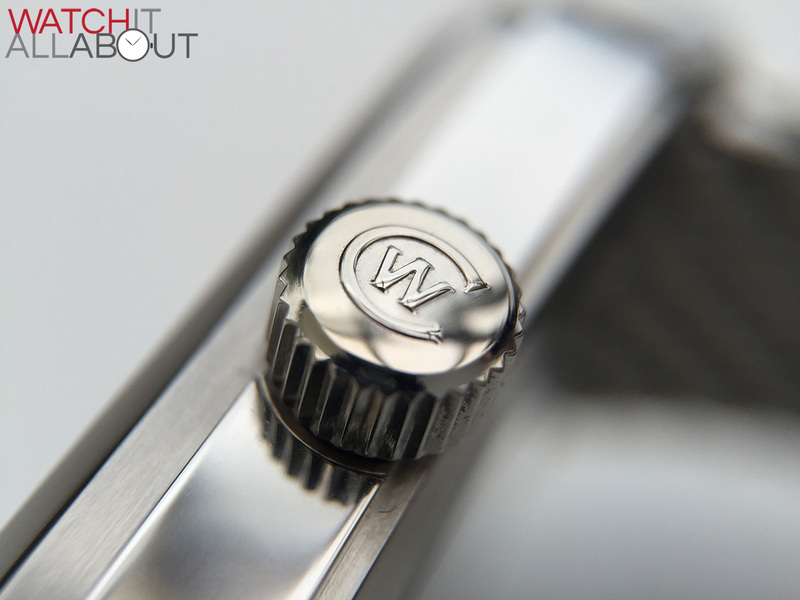 They’re nice and deep too, signifying good quality and adding a bit of depth to the dial. 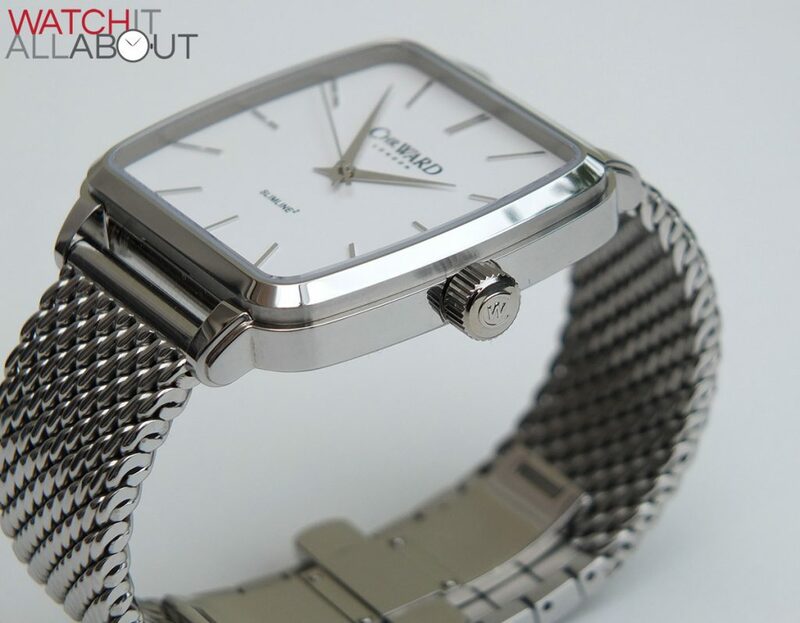 The C5 Square is available with either an embossed alligator pattern Italian leather strap with a CW motif clasp, or a fine-knit, stainless steel Milanese bracelet. 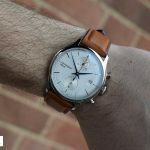 Although I’ve not got the leather strap, I know from experience that they’re always excellent quality and comfortable. And if you can afford to, I’d recommend upgrading to a Bader buckle – as they’re great. 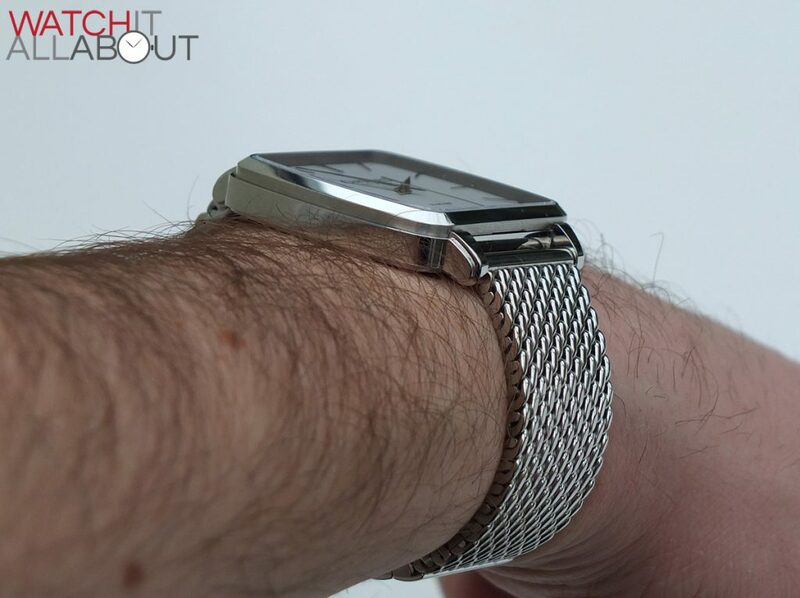 The Milanese bracelet is very well constructed – with each loop polished on top and brushed underneath, it’s meticulously knitted together to create this unmistakable style. 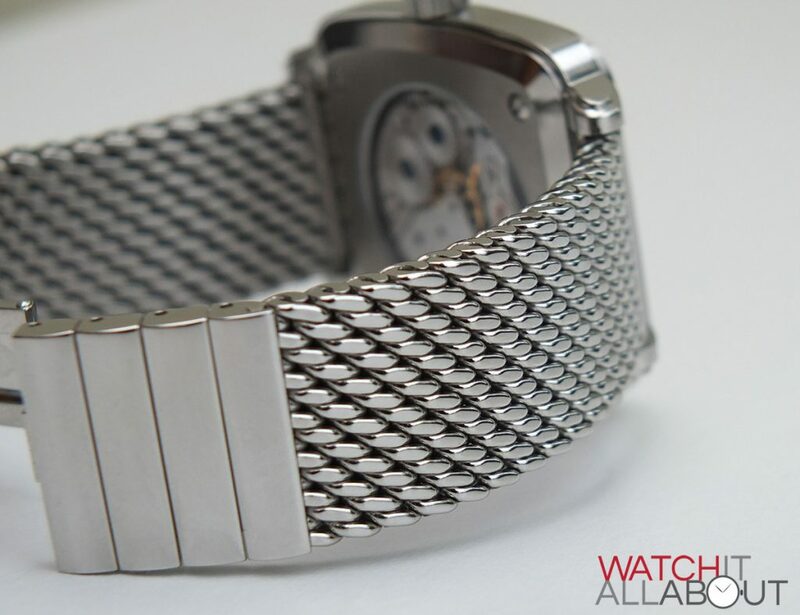 The bracelet is sized by the polished bar links connected to either end of the butterfly clasp. The movement in the C5 Square is the Sellita 210-1 – their version of the ETA 2801 (used in the round C5 Slimline), and is also used by Stowa and Sinn in some of their hand wound models. It has light Côtes de Genève finishing on the bridge, which is appealing to the eye. 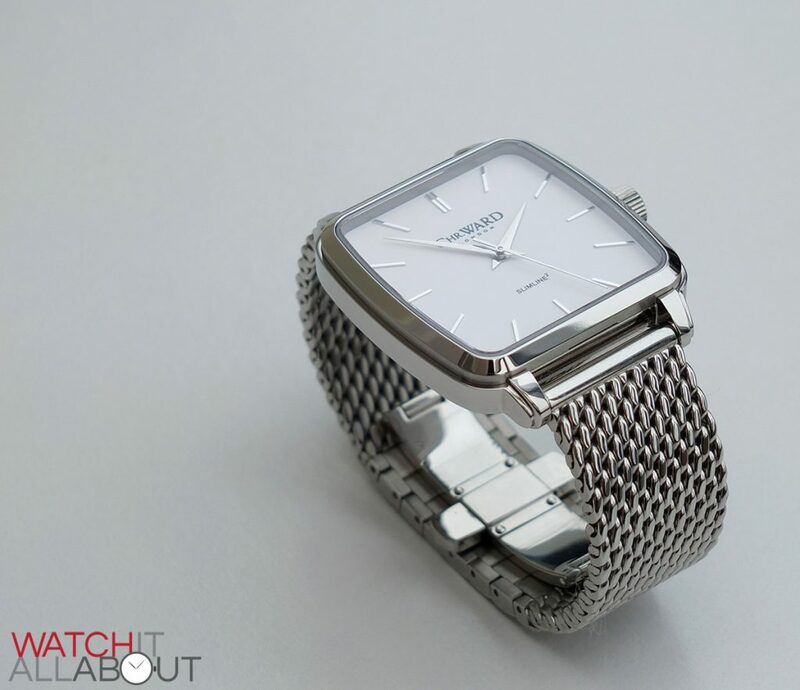 For it to be so thin, it has no automatic winding mechanism – hence it being hand-wound only. 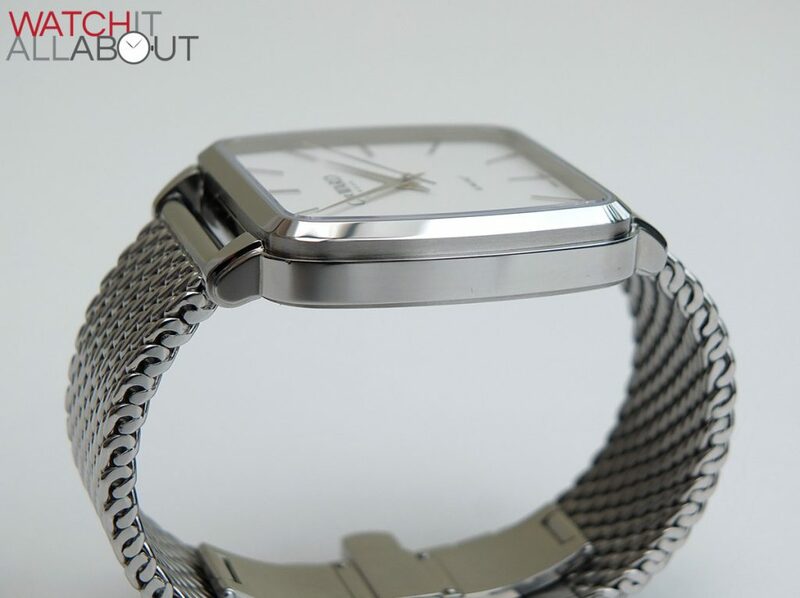 When winding, the movement feels very robust, signifying good quality. It provides pleasing audible clicks, enhancing the process. 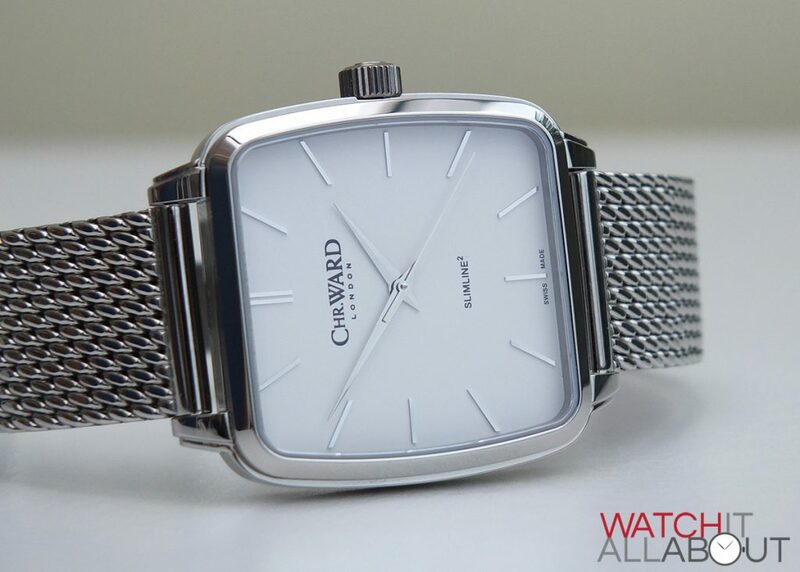 Although not completely to my personal taste, I still can’t help but admire the Christopher Ward C5 Slimline Square. 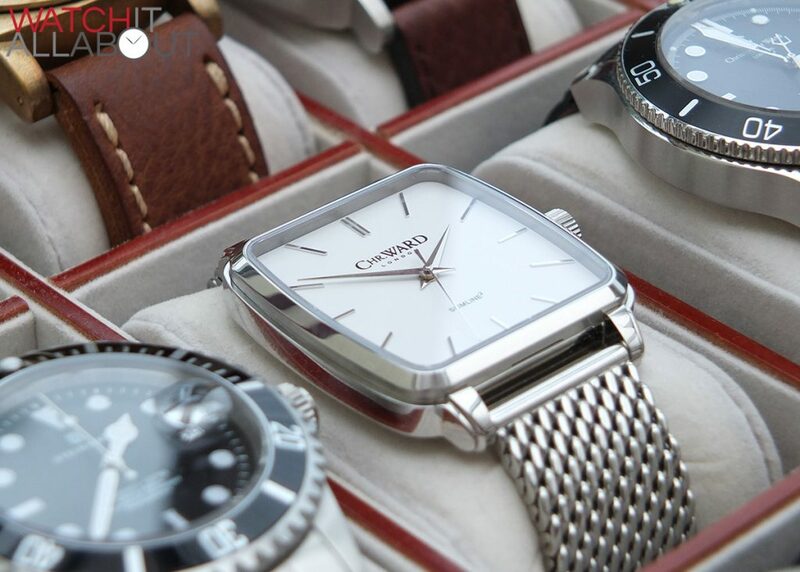 It’s elegant, sophisticated, and is right on point for the growing popularity of retro inspired timepieces. 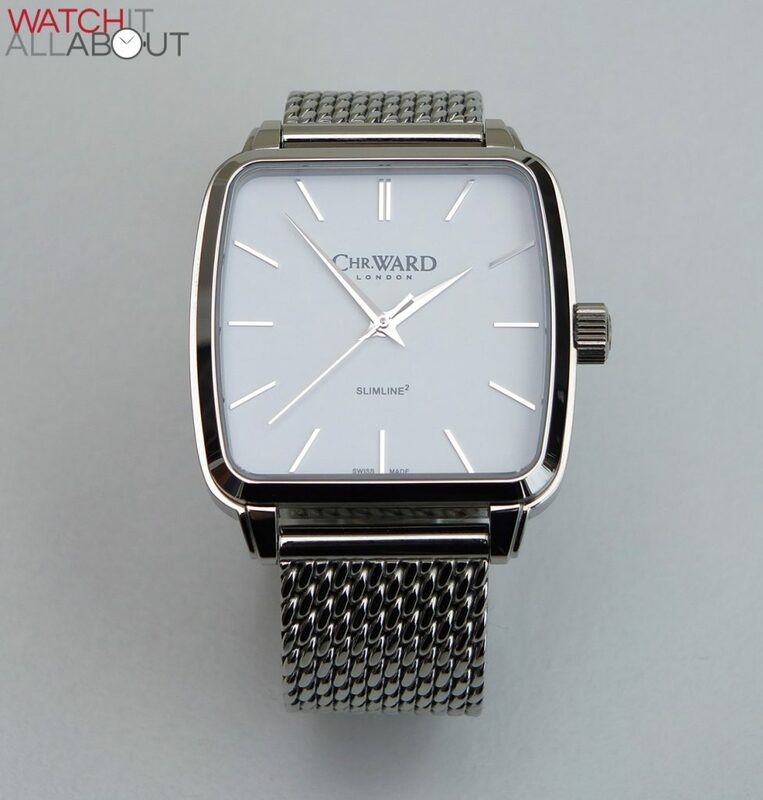 As usual, the build quality is excellent, not forgetting the fact that you get Christopher Ward’s 5 year warranty and outstanding customer service. The size at 37mm x 37mm is just right; balancing good wrist presence, vintage vibes and comfort. 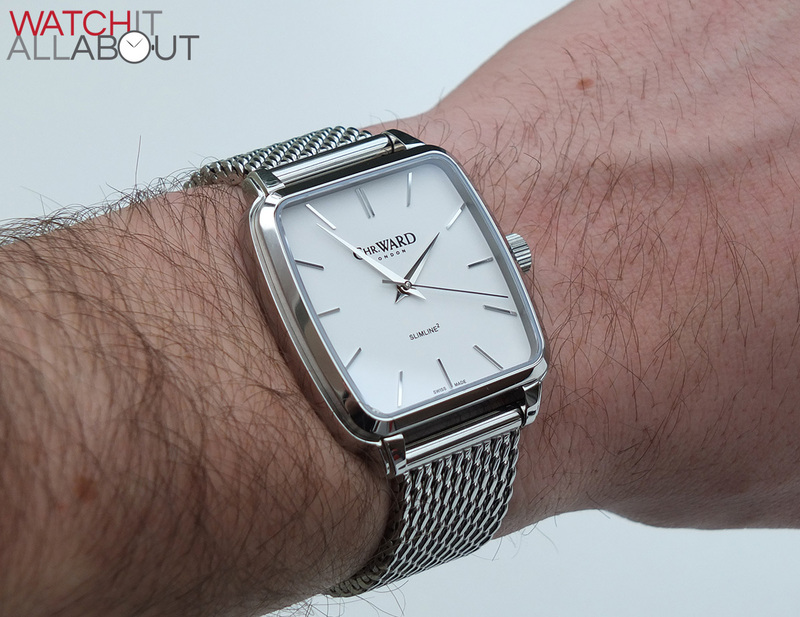 The hand wound movement also ties in nicely with the retro roots. 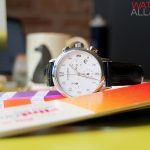 I feel that this watch will mostly appeal to the more mature audience, but that’s not to say that it won’t also be an attractive proposition across all age groups. 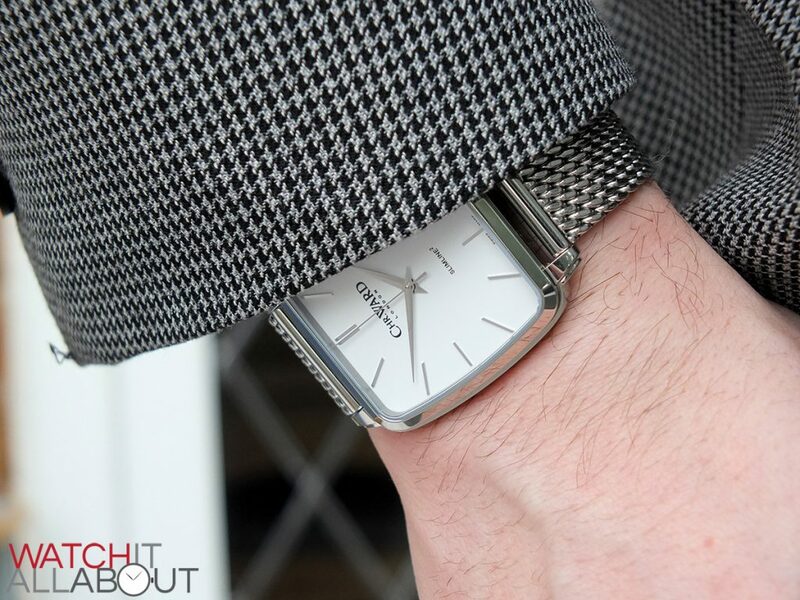 Although not my cup of tea, if you like the style, then the C5 Square is a great watch for £399.